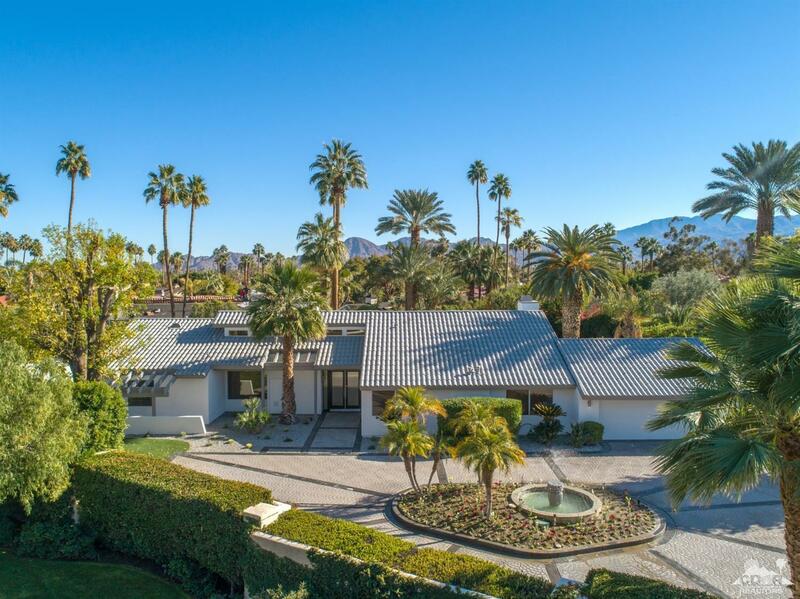 Welcome to Clancy Lane, the most desired street in Rancho Mirage. This gorgeous property has been completely reimagined offering contemporary designer finishes within the gates of a classic & established community. Prepare to say WOW as you pull up to the circular driveway, enter the double glass doors into the entertainment room complete with an impressive fireplace, Quartz wet bar & views out to the backyard resort. The kitchen features Quartz countertops with a double sided waterfall island and double dishwashers. The kitchen opens to the dining room and the expanded family room with a stunning stacked stone entertainment wall. The master suite is separate from the office & 2 additional en-suite bedrooms and features a modern built-in entertainment wall, elegant bathroom and walk-in closet. The lush rear yard is certain to provide endless enjoyment with the resort style pebble tec pool & spa, waterfall, mature landscaping & postcard mountain views. This home is simply spectacular!